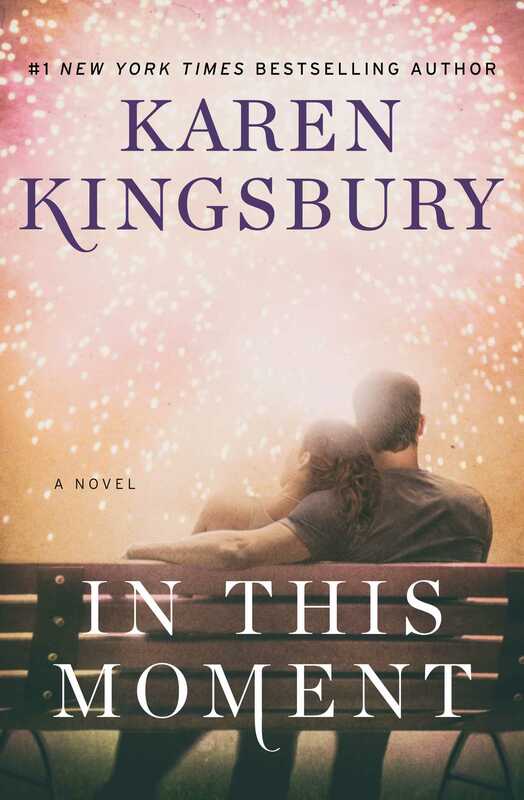 From #1 New York Times bestselling author Karen Kingsbury comes an inspiring Baxter Family novel about a beloved high school principal who starts a Bible Study to improve the lives of his struggling students, only to become the national focus of a controversial lawsuit. Hamilton High Principal Wendell Quinn wants to see real change in his community, so he starts a voluntary after-school Bible Study and prayer program called Raise the Bar. He knows he is risking his job by leading the program, but before long, Raise the Bar meetings are standing room only. A year later, violence and gang activity are sharply down, test scores are up, and drug use and teen pregnancy have plummeted. The program is clearly working—until one parent files a lawsuit, claiming Wendell has violated his daughter's rights. But Principal Quinn knows God is on his side, and he refuses to back down. As he prepares for court, he is deluged by a storm of national attention and criticism. He wants just one attorney on his side in the fight of his life—Luke Baxter. A timely and nuanced exploration of religious freedom and what it means to be a person of faith in today’s culture, In This Moment will satisfy Kingsbury fans, old and new. Well, truth be told, he had a bushel of problems. As principal of Hamilton High School, situated between Haughville and the Indianapolis Motor Speedway, on the rough side of the city, Wendell’s students were routinely killed in gang violence and regularly locked up for dealing drugs. They traded their futures for grand theft auto or attempted murder or a life of skipping school, and too many of them were left with the dead-end futures their choices created. Test scores and graduation rates lay drowning in the gutter, respect for teachers was at an all-time low, teen pregnancy was epidemic and suicide was on the rise. Wendell had tried every means possible to change the situation at Hamilton High. Because of his efforts, the school used a positive incentive program, rewarding good behavior and high grades with exemption from final exams. Local businesses had donated goods and discount coupons for students on the honor roll. He’d gotten creative with discipline, too. Wendell had doubled suspensions and expulsions for bad behavior. Teachers used a demerit system to deter students causing the most trouble. On top of that, his team of guidance counselors had brought in a number of guest speakers. In recent years they’d heard from a mother who lost two sons to gang violence, a college girl whose sibling was behind bars for dealing drugs, and a trio of convicts who shared stories intended to wake up the kids at Hamilton High. If any of that worked, Wendell hadn’t seen proof. Every measurable means of analyzing Hamilton and its students showed just one thing: The school was getting worse. And Wendell Quinn was sick of it. He set his worn black leather briefcase on his desk and opened it. On top was a presentation folder graced by a cover sheet that read: “In This Moment.” It was a look inside Wendell’s heart: his reasons and research behind his most risky decision yet. The decision that later today Wendell would launch a Bible study program right here at Hamilton. All of it was detailed inside the folder, the result of an entire summer of reading legal documents on the topic. A knock at his door and Wendell turned to see the one face that caused his heart to soar. Alicia Harris, Hamilton High’s favorite teacher. His favorite, too. Wendell and Alicia had been friends for several years—since the car accident that took Wendell’s wife. But in the past few months his friendship with Alicia had grown into a dating relationship. Wendell admired everything about her. The way she loved his children, her concern for her students. Her gift of inspiring students—something that couldn’t be taught in college. But there was a tragic secret about Alicia that the rest of the school didn’t know. She was battling an anxiety disorder. Not just a struggle with being anxious. Alicia was in a debilitating fight with panic attacks like nothing Wendell had ever seen. Since they’d gotten closer, Alicia had opened up about her episodes. She was a Christian with a strong faith. But on some days she considered it a miracle that she could leave her house at all. And once in a while she couldn’t even do that. Alicia and Wendell had discussed his new program. If there was one person at Hamilton High who would struggle with what was coming, it was Alicia. Which just about killed Wendell. But he had made his decision. He could pray for her and be there for her. But he couldn’t let her anxiety stop him from helping the students at Hamilton High. Now that they were seeing each other, the two were careful to keep things professional when they were at school. Dating wasn’t forbidden among the staff at Hamilton High. But they had no intention of flaunting their new relationship. A case could be made for conflict of interest. If Wendell could’ve found someone else to run the program, he would’ve. He had certainly tried. But the few students he was comfortable asking had been unable to help. Even his own son, whose faith was rock solid, hadn’t felt confident leading the group. He’d asked a few of the teachers, the ones he was sure shared his beliefs. But all of them said some version of the same thing. They couldn’t afford to jeopardize their jobs over a program that, in their minds, clearly violated the Constitution’s separation of church and state rule. Wendell disagreed about that much. Still, he couldn’t do more than ask his staff and students—otherwise he would be at risk of an actual violation. So he was on his own. After a summer of research, he was certain a voluntary faith program that met after school was legal. Even if he facilitated it. It was this personal conviction, one he’d lived with, that in the end gave him the courage to move forward: Here and now at Hamilton High, Wendell was the only one who could step forward. The only one who could make a difference. “Me, too.” He opened the door and they stood together, staring at the words everyone saw when they entered Hamilton High School. The quote painted on the school wall, the one that had started this whole thing last May, the day school let out for the summer. Those who stand for nothing . . . fall for anything—Alexander Hamilton. Hamilton had spoken those words hundreds of years ago, when he was the first U.S. Secretary of the Treasury, and one of America’s founding fathers. The quote was emblazoned on the hallway in letters fourteen inches high. Wendell read the lines silently, the way he read them every day when he arrived at school. “Maybe.” Alicia hesitated for a long few seconds. “See ya, Wendell.” Her smile felt genuine. But the fear was still there. The one that would certainly remain an hour from now, when Wendell’s very risky plan would become a reality. She gave him a final look and then turned and walked down the hall toward her classroom. First period was at eight o’clock. The assembly was at nine. Wendell took the seat behind his desk and looked at the folder. He couldn’t blame Alicia. She had to take care of herself. Still, her pulling away from him was the most difficult part of his decision to run the Bible study. He ran his hand over the folder. He hadn’t prepared the material inside for anyone but himself. He wanted his research all in one place. The reasons he felt justified in starting his voluntary Bible study program. Just in case he needed to defend himself at some point. The information was something to fall back on when that time came. And Wendell had no doubt it would. One way or another he would pay for what he was about to do. And if he paid, his four kids would pay. Alicia, too. At least she thought so. He studied his family’s photo on his desk. His kids were the joy of his life, a constant reminder of God’s goodness. Jordy was seventeen, a junior, and Leah was a fourteen-year-old freshman who played trumpet in the school’s marching band. Alexandria was twelve and in her seventh-grade theater club, and Darrell, the youngest, was ten. The light in their faces, the love between them warmed Wendell’s heart on the coldest of Indianapolis days. He looked at his kids one at a time. Each of them carried a part of Joanna, their mother. Jordy had her kind eyes . . . Leah, her pretty smile. Alexandria had Joanna’s laugh, and Darrell, her sense of adventure. A ripple of concern tightened around his chest. Yes, they would likely all pay for what he was about to do. Wendell could be fired. People would mock his children for having a father who dared bring God into a public school. Wendell had come across a three-year-old case where a local social services agency attempted to remove children from the home of a public educator who taught an after-school Bible study. As if teaching the Bible at school might make someone like Wendell an unfit parent. The educator won that case. But things were changing. A growing sector of people were vehemently against anything Christian. If Wendell and his kids suffered, then Alicia believed she would suffer, too. In her mind, the events at Hamilton would be splashed across the news and no public school in the state would ever hire her or Wendell again. Yes, as far as Alicia was concerned, the whole scenario already felt like a reality. A fait accompli, as Hamilton might’ve said back in the day. Which was why Alicia was already pulling away. The sad thing was that she was probably right. Any attention on social media meant a tsunami of scrutiny would be on all of them. Every Christian on staff. So the first cost was almost certainly going to be his relationship with the woman he loved. Wendell’s heart already hurt over what was coming. But even so he had to follow through with his plan. This was what God wanted of him. Wendell was sure. And God would see him through. He sighed. Lord, if only I could help Alicia trust You Really trust. He thought back to a recent day in mid-July when he’d made his intentions known. He had grilled burgers for her and the kids and they’d spent the day swimming at the neighborhood pool. Back at his house, once the kids were in the other room watching a movie, Alicia had hugged him. The smell of her hair and perfume had filled his senses, and Wendell had known he couldn’t go another day without telling her how he felt. “The kids aren’t the only ones. I love you, too, Alicia.” His heart pounded in his chest. “As more than a friend.” It felt like Wendell’s brokenhearted season since losing Joanna was finally over. The two of them laughed and stood and hugged again, and as Wendell walked her to her car that evening, he did what he’d longed to do for months. After their beautiful summer together, Wendell had planned to propose. That way they could be a family sooner than later. Which was something his kids wanted. Just a few weeks ago Alicia took Leah and Alexandria back-to-school shopping, and when the three of them came home and the girls modeled their new clothes, it was as if they’d been close to Alicia forever. Jordy and Darrell loved her, too. The boys took bike rides with Alicia and Luvie, their family dog. But he had done more than spend time with Alicia over the summer. Driven for some way to help the Hamilton students, Wendell had worked late at night and early in the morning poring over the Federalist Papers, written mostly by Alexander Hamilton. Wendell hadn’t seen the Broadway musical about the man, but he had heard the Hamilton cast recording. A line from one of the songs stayed with Wendell. I am not throwing away my shot . . . not throwing away my shot. Because of his research, Wendell had come to admire Alexander Hamilton. The man’s visionary ability to bring people together. His unwavering faith in God. Wendell agreed with the words of George Will, a famous politician. Those quotes were in Wendell’s presentation folder. The details Wendell had learned or read or researched about Hamilton and the U.S. Constitution. The freedoms afforded every American citizen were highlighted in the pages of the folder in front of him. Wendell had also included a number of esteemed studies showing the academic, social and personal benefit of prayer and faith. In addition, he’d researched his rights. What he was about to do was legal, but he had to be careful. He could alert students to the optional after-school club, but he couldn’t push them to attend. And bottom line, he could be sued, because anyone could be sued for anything. The question was whether he’d win. Wendell had a strong sense that he could. Because it wasn’t only the statistics and research on Hamilton and the Constitution that drove him to come up with the plan. It was the Bible, too. The verses in Proverbs and Psalms that spoke about training a child in the way he should go and teaching the next generation the truths of God. The students at Hamilton High were utterly broken. How could he not share with them the truths of the Bible, the hope of God? For a year, Wendell had felt a holy calling to make this move. That’s why he’d spent so much time this past summer pulling together his research, making certain he wasn’t breaking any law. Now, with his folder of research before him, Wendell felt ready. He would do this. He had to do it. He was the only one willing to take a stand. Wendell closed his eyes and leaned back in his chair. All summer he’d been telling Alicia about his idea, how he wanted to bring the Bible back to Hamilton High. Six days ago he’d taken her to coffee and explained what his research had netted. How he felt he had the right to do something to help the students. The bell rang out in the hallway. Wendell could still hear her, still see the terror in her face. He had tried to comfort her, but there was nothing he could say. For the next thirty minutes he held her hand and watched her as—between panicked gasps—she did the only thing she could do. She popped two pills and recited the same Bible verse over and over. It was from Philippians 4. It was the first time Wendell had seen Alicia suffer a full-blown panic attack. Before then, she had downplayed her anxiety disorder. But there was no denying it now. And since then he could feel her pulling away a little more each time they talked. He was making her anxiety worse. All because of his desire to help the students at Hamilton High. Wendell stared out the window. You’ll get me through this, right, God? Not just me, but the students? He sighed. Open their eyes and ears, Father. Help them find hope in You. Please do that. Wendell pulled the report closer. The front of the folder included every encouraging example that had inspired Wendell to finally act. He flipped to the back. Here were the detailed reasons why Wendell couldn’t wait another year. The terrible truths and statistics that defined his school. The truth was there in black and white. Hamilton High and its students were on the brink of disaster. A total collapse. It was even possible the school board could close Hamilton for good. Late last April the members had discussed a plan where the students would be bused to other schools across town. In that case, the doors of Wendell’s school would be shut forever. Until the board decided what to do with the property. Wendell clenched his jaw. No, that would not happen. That terrible possibility was the past. This year would be different. Today was the first day of the new Hamilton High, and very soon at the assembly, Wendell would inform his students of the program. After today they would have a choice. If they wanted, they could raise the bar for their lives, their futures. Wendell could hardly wait to tell them about it. What good can I do in this moment . . . ? Establish a schoolwide vision of commitment to high standards and ensure the success of all students. The verbs spoke to him as he read the words again. He lifted his eyes to the blue sky outside his window. You called me to establish and ensure, Lord . . . that’s why I was hired. It was his job to establish a vision. Not just any vision, but a vision of commitment to high standards. And it was his job to ensure the success of all students. That’s what he was paid to do. Wendell leaned forward and planted his elbows on his desk. Last year six Hamilton High students were killed in gang violence. Two committed suicide and three overdosed on drugs. Forty percent were flunking at least one class. In a school of a thousand, Wendell had failed his job and his students. That’s what Wendell had been hired to do. Raise the bar. Now, finally, that’s what he was going to do. And so his program for Hamilton would be called Raise the Bar. It was intended to give kids hope and a reason to care, a reason to try and grow and learn and live. Wendell stood and crossed the room to his bookcase, the one that spanned most of the far wall. The top shelf contained things that inspired him: gifts from Alicia and his kids, more family pictures, a framed photo of a student who graduated from Hamilton High and made her way into a career as a surgeon in nearby Bloomington. And there at the far end, an old grass-stained football with the message Les Green had scribbled across it. Oh, Les, my friend . . . I wish you were here. Wendell took the ball in his hands. Les had been there to pick up the pieces when Wendell’s father was shot and killed in a drug deal. Wendell was just seven years old. Les Green became the father Wendell needed, a man he clung to all his growing-up years. Les used to say, “A man is nothing without God.” He’d quote Bible verses like Proverbs 16:3. Commit your actions to the Lord whatever you do, and he will establish your plans. It was no surprise that Wendell made his first trip to church in the passenger seat of Les Green’s Chevy sedan. Les was best man at Wendell and Joanna’s wedding, and Les became Wendell’s greatest confidant in the early days, when the kids came along. A year after Wendell’s youngest was born, Les was raking leaves in front of his single-story, small suburban home when he dropped dead of a heart attack. The loss left a gaping hole in Wendell’s heart. A hole Wendell filled with Jesus and more Jesus. Which was exactly what Les would’ve done. Wendell smiled as he set the football back on the shelf. He knew what Les Green would have told him today. Something has to change. Get out there and tell the kids about your program. The students at Hamilton High need Jesus. Or as Alexander Hamilton would say to him: You need to stand for something . . . or you’ll fall for anything. Today was the day Wendell Quinn would take a stand. Les would be proud. Hamilton, too. Jesus most of all. Wendell sat back down at his desk. What good can I do in this moment? In this moment. He repeated the words until they were etched in his heart and soul. This was his chance to make a difference. God would help him, no matter the cost. Whatever came next, Wendell was ready. 1. What are your thoughts on Wendell Quinn as a principal? What sort of man was he? 2. Do you think it was wrong or right for Wendell to begin the Raise the Bar club? Explain your thoughts. 3. What do you think of Wendell’s claim that he was merely trying to do this job by starting the club? 4. Would you be willing to defend Wendell Quinn in a court of law? Why or why not? 5. What have you noticed about religious freedom in the United States, or in your country? Give examples. 6. How do you think the founding fathers intended us to view religious freedom? 7. Have you ever felt afraid to talk about your faith in public? Share about that. 8. What is one way you can help preserve religious freedom in this country, or in the nation where you live? 9. Why is it important that we have religious freedom? What are the risks if those freedoms and rights are taken away? 10. Alicia lived her life consumed by fear. Explain her fears, and whether you feel they were rational or not? 11. When have you been deeply afraid? How did you come through that time? 12. Luke Baxter has a very supportive family. Still, his work hours were out of control. Has work ever consumed you or someone you love? Talk about that. 13. What did you think about Reagan’s determination to love Luke despite her husband’s excessive work? 14. 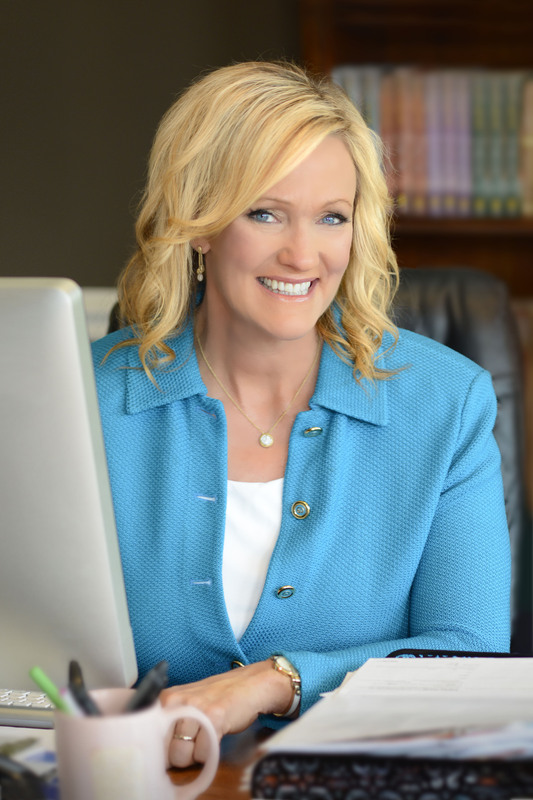 Reagan’s Bible study taught her that marriage requires 100 percent from both people, every day. What does this mean to you? Do you agree? 15. Another lesson from Reagan’s Bible study was the idea of loving your spouse because such an action is mandated by God – whether the spouse deserves the love or not. How can this truth help you or someone you love? 16. The Raise the Bar club made tremendous changes in the lives of students at Hamilton High. When have you seen God work in a transformational way in your life or the life of someone you know? 17. Cami and her father were jaded toward God because of a hurtful past experience. Have you or has someone you know ever blamed God for something a person has done to you? Why or why not? How did that situation work out, or what did you learn? 18. What were some of the key reasons Luke was able to successfully defend Wendell Quinn? Talk about this. 19. Reagan’s surprise party for Luke was her way of loving him, even when his actions frustrated her. Talk about a time when you or someone you know loved unconditionally. What was the result? How did it feel to love that way? 20. What do you think about the lawsuits that are often filed against schools and sports teams because of longstanding traditions that deal with God? Are there cases that have come to your attention? What are your thoughts?